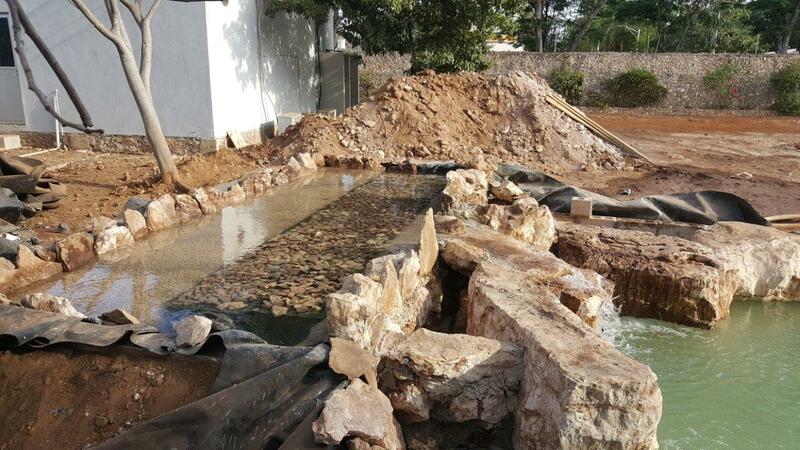 Over the years Pond manufactures have been working hard to give you the pond builders, a solution for the dreaded “Green Pond”. The answer? Biological Filtration! As I travel all over the US, I hear time and time again that pond builders do not use this filtration method because of the difficulties they have when it comes to camouflaging them. I am here to say, there is a way! Before we get into the best way to disguise these black filtration boxes, let’s first talk about why they are important and why you should be using them. 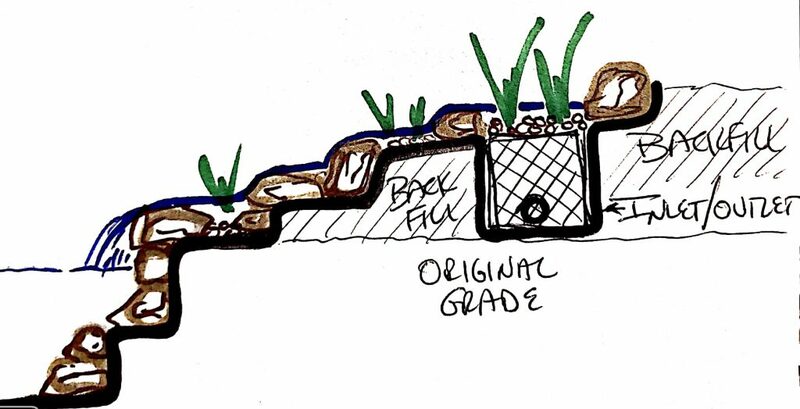 These filtration boxes or FilterFalls, were designed to hold filter material to colonize beneficial bacteria and help filter your pond. 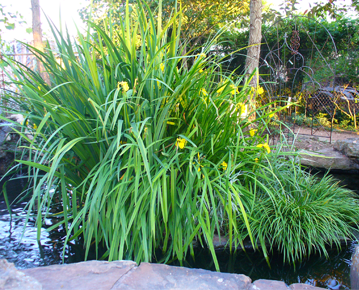 Beneficial bacteria breaks down organic debris and fish waste, providing food for plants. Multiple pads or mats provide the oxygen rich environment for beneficial bacteria to flourish. The addition of biological media enhances beneficial bacteria growth by providing additional surface area for bacterial colonization. 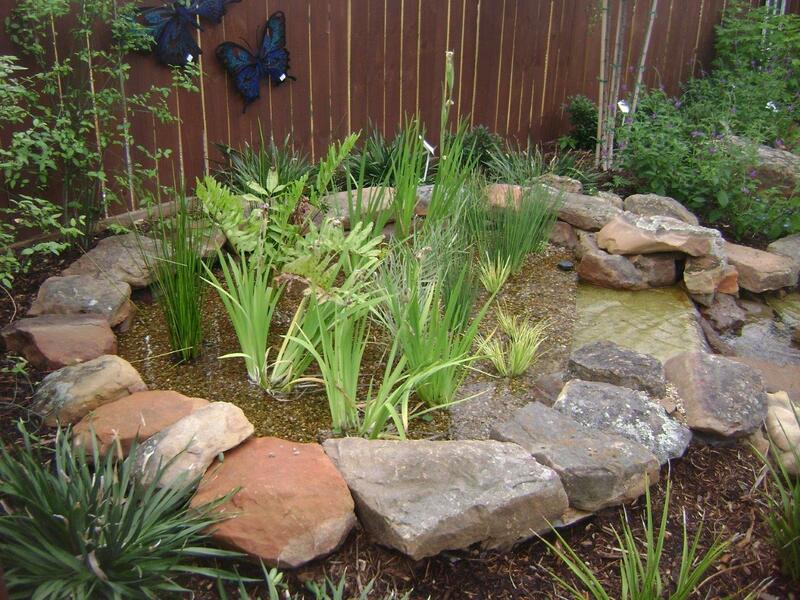 In turn making your pond clean, clear and a healthy eco-system. The homeowner may still be weary about adding a filtration black box to their beautiful water feature, and educating your customer, is key. 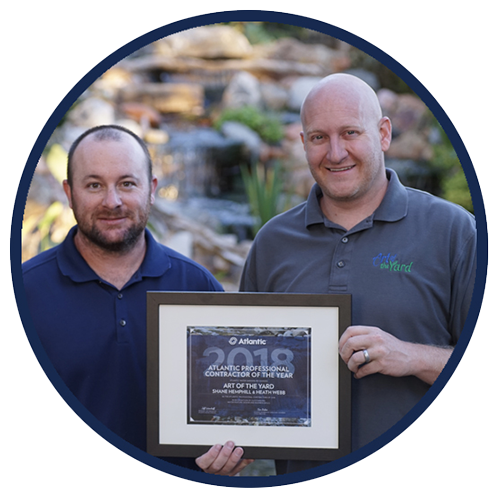 Having an up front conversation with the homeowner explaining why you are using the Filterfalls and why it is essential for the health and quality of the pond will help alleviate any concerns. Another way to alleviate any concerns is to ensure the homeowner that they will not have to see any black box and their feature will look natural as long as it is camouflaged properly. 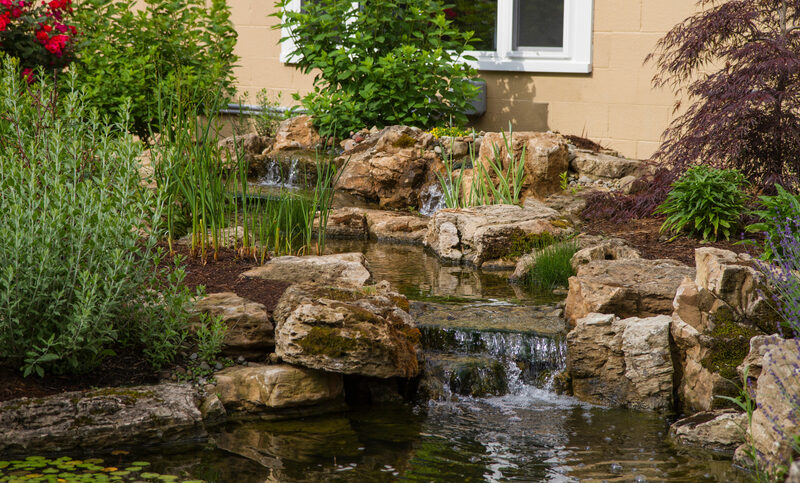 This will translate into a happy pond owner with fewer callback’s, saving you time and money. Now that the customer is on board with using the FilterFalls, let’s talk about camouflage. There are many ways to do this. First make sure that the area around the FilterFalls is or has been built up around the edge of the falls. Having higher ground is key to being able to easily camouflage the box. Trees, plants, rocks, logs, driftwood, floating plants are all great things to use for disguise. 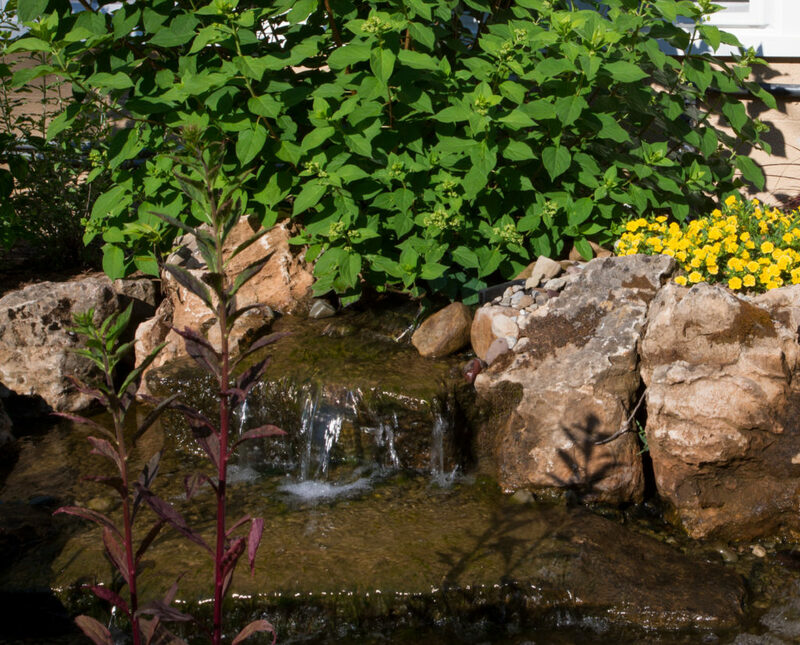 Using plantings near and around your filter boxes will create more of a disguise. 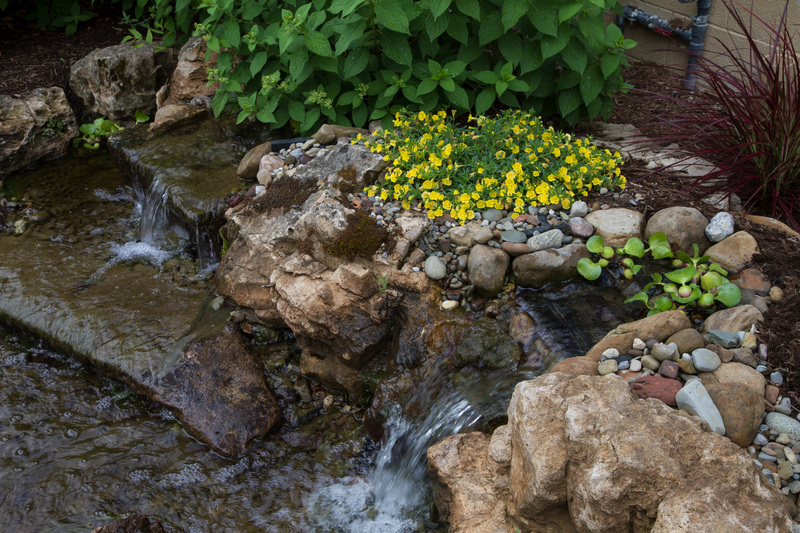 Edge the inside of the FilterFalls with stones or rocks, you can also mix in some water plants for a more natural look. Logs or driftwood can be laid over top the FilterFalls for even more of a disguise. By planting trees and bushes near your FilterFalls you can create even more of an illusion that the FilterFalls are not even there! Another great trick is to angle the Filter box away from the viewing point so that the homeowner will not be staring directly into the filter box when they go to look at their feature. Remember, that like in nature, you never see where the water source is coming from. The same should go for the feature that you are building. Angle the Filter box away from the viewing point so that the homeowner will not be staring directly into the filter box when they go to look at their feature. If FilterFalls still aren’t your thing, Bog filtration can be used as an alternative. 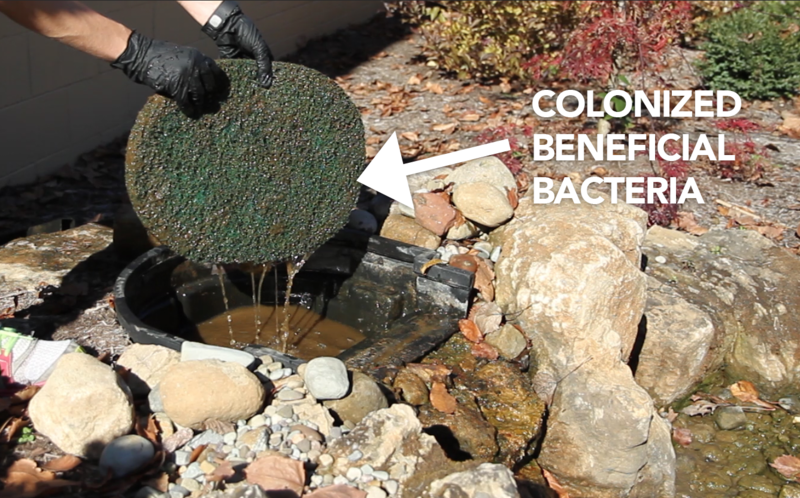 Check back for our next blog post on Bog Filtration by bog expert, Demi Fortuna.